You’ll find the Chemex being used in a lot of high-end coffee shops right now. You would be forgiven for thinking it’s a new brewer, fresh from the studio of some hotshot New York designer. Not so. 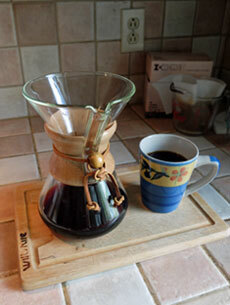 The Chemex was invented by Dr. Peter Schlumbohm over 60 years ago. 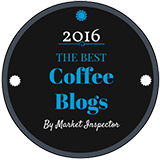 While serious coffee drinkers have known about it and used it for years, it’s only recently that it has become trendy and more widely available. And as you can tell from our video review, I really like this brewer. 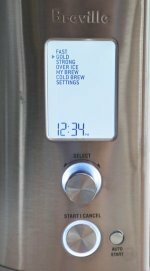 It’s a hands-on brewing system, so it does take a little time. That’s why I don’t use it as my daily brewing method, but do use it when I am trying a new coffee – a really good coffee – and want to be sure I’m tasting it at its best. The Chemex vessel itself is made from a single piece of glass. There is a two-part wooden sleeve around its neck, with both halves held in place by a leather tie. The sleeve and tie can be taken off if you wish to give the Chemex a good washing. While the Chemex works the same way as a filter cone placed on a mug, there are some significant differences. First, you can brew several cups of coffee at once with this brewer. My model is a 6-cup brewer, but they come in different sizes, right up to 13 cups. But perhaps the most unique feature is the filter paper. You don’t want to use a regular drip brewer filter with your Chemex. Use only the filters sold by Chemex. Compared to what you are used to, the paper is thick and heavy. This gives it excellent filtering properties and also slows down the rate at which the water passes through, ensuring the correct brewing time and perfect extraction. Once you’re done, just throw the filter paper and wet grinds into your compost bin or garbage, and serve the coffee direct from the Chemex. The brew is free from any sediment and rich in both dominant and nuanced flavors. 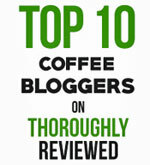 It’s a great way to get hands-on and really enjoy brewing a quality coffee, and tasting it at its best. Very simple. Very elegant. And a great way to brew quality coffee. If you don't have one, and can't find one locally, you can buy the Chemex and filter papers at Amazon.com. 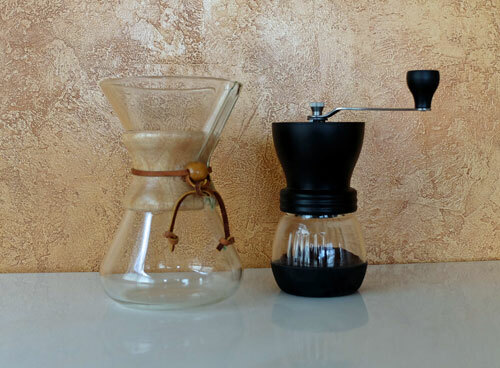 The Chemex pour-over coffee maker and the Kyocera hand coffee mill - perfect companions.